Today I have 2 CAS cards where I used some gold foiling and gold inking. For the first card, I used image from Your next stamp and for the second card, I used image from Craftyscrappers and frame embellishment. 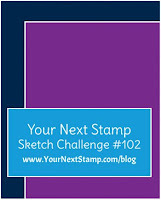 For this card, I used a sketch from Your next stamp challenge and for this card, I used unicorn image from YNS. To finish the card, I added some golf foiling on top of the colour card stock. For the second card, I used a frame chipboard here. 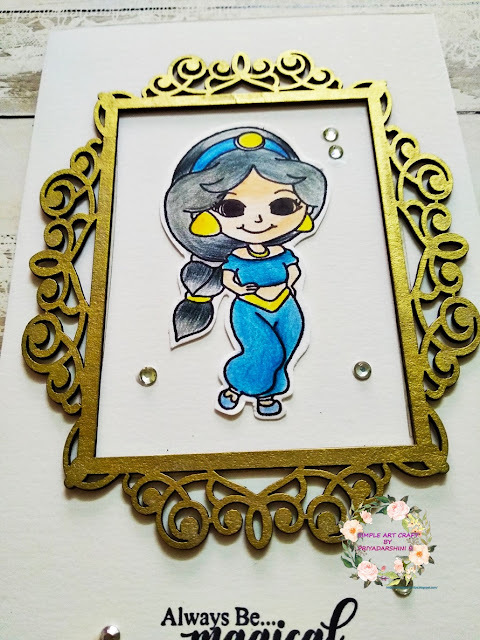 I directly inked the frame using Gold ink and let it dry using heat gun. I stamped and coloured image from Craftyscrappers. I added the image to the center of the frame and added the sentiment below it. To finish the card, I added some stones. Its a side fold card. You worked a lot of challenges into a few cards. Great work. Thanks for playing along with us on the CASology Challenge blog. 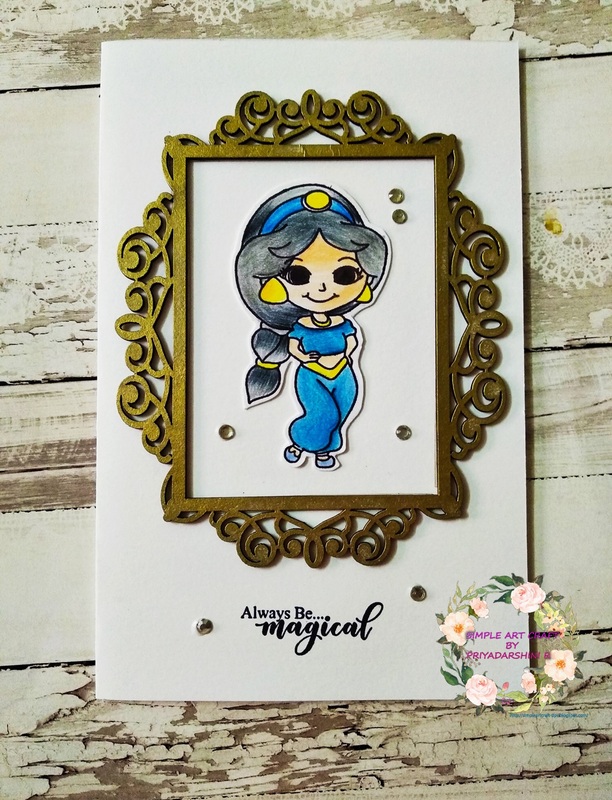 Love your gold foiling and inking! Thanks for joining us at CAS-ual Fridays. 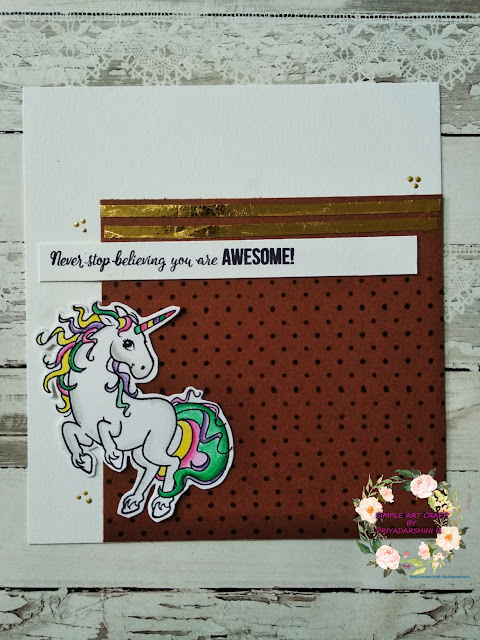 Beautiful cards...Love your sweet unicorn! Thank you so much for playing along with us at Muse this week. Great card! The gold accents and colouring on your unicorn look wonderful! Colorful and fun! 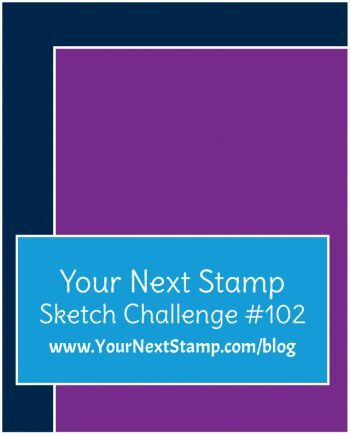 Thanks for sharing your take on the sketch and joining in the fun at YNS! 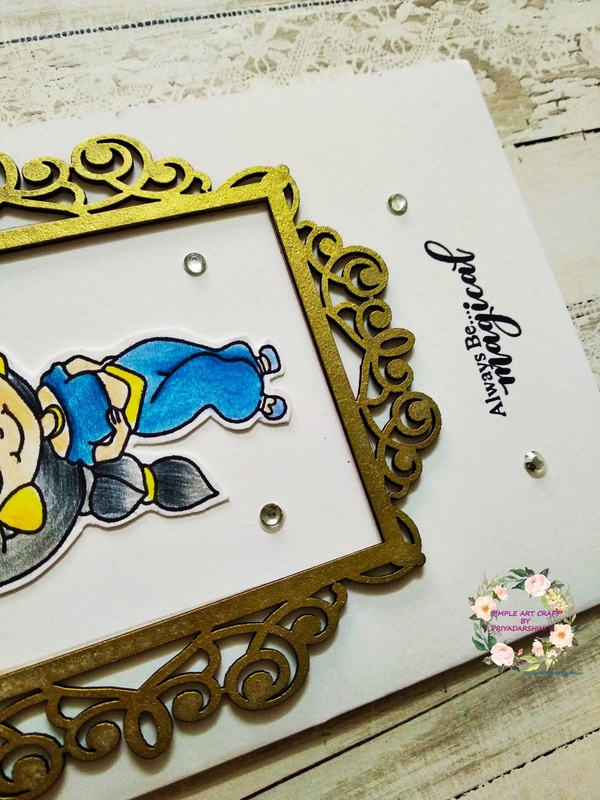 Love your whimsical cards! Thanks for joining us at Muse this week! Love the gold on your adorable cards! 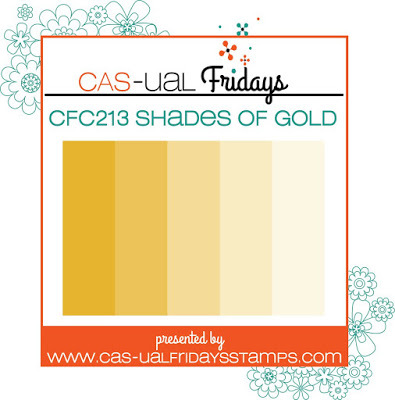 Thanks for sharing with us at CAS-ual Fridays Challenge!